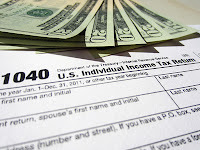 WASHINGTON — Refunds totaling more than $1 billion may be waiting for one million people who did not file a federal income tax return for 2008, the Internal Revenue Service announced today. However, to collect the money, a return for 2008 must be filed with the IRS no later than Tuesday, April 17, 2012. 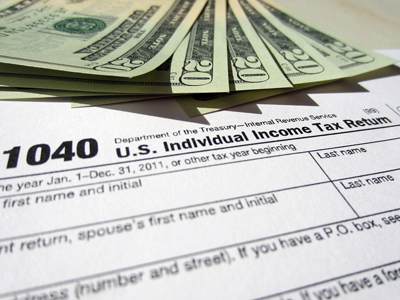 The IRS estimates that half of these potential 2008 refunds are $637 or more. they had taxes withheld from their wages or made quarterly estimated payments. In cases where a return was not filed, the law provides most taxpayers with a three-year window of opportunity for claiming a refund. If no return is filed to claim a refund within three years, the money becomes property of the U.S. Treasury. For 2008 returns, the window closes on April 17, 2012. The law requires that the return be properly addressed, mailed and postmarked by that date. There is no penalty for filing a late return qualifying for a refund. The IRS reminds taxpayers seeking a 2008 refund that their checks may be held if they have not filed tax returns for 2009 and 2010. In addition, the refund will be applied to any amounts still owed to the IRS, and may be used to offset unpaid child support or past due federal debts such as student loans. $12,880 ($15,880 if married filing jointly) for those with no qualifying children. For more information, visit the EITC Home Page on IRS.gov. We can help you file your current and prior year tax returns. Contact us at 800-560-4NFS for an appointment to get started.